Tucson Criminal Defense Attorney | Elias Damianakos, Esq. Elias Damianakos helps those who have been arrested and charged with all felonies and misdemeanors crimes in Arizona and under Federal Law. I believe that every person deserves the best legal representation and his or her day in court. I provide all of my clients with peace of mind that they their case is the hands of an experienced and aggressive Tucson criminal defense attorney. Arizona has the 6th highest incarceration rate in the United States. Prosecutors in Arizona are increasingly seeking longer sentences for individuals charged with crimes, and often seek to impose mandatory minimum prison sentences. Many prosecutor offices in Arizona have designed specialty divisions such as domestic violence units and property crimes units that focus resources and personnel with the one objective of a getting a conviction. These units are heavily funded by the government, and are staffed with highly trained prosecutors and legal support staff. In today's ever increasing prosecutorial climate, your best defense against the weight of the resources of the state is to have an experienced Tucson criminal defense attorney by your side. 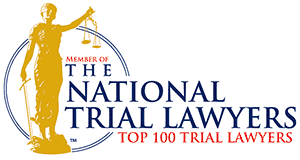 I am a top rated and experienced Tucson criminal defense attorney having successfully represented people in hundreds of felonies and misdemeanors throughout Arizona, including: domestic violence, DUI/DWI, criminal traffic, assault, disorderly conduct, shoplifting, and more. I can also assist you with Arizona criminal record clearing and expungements, set asides, restoration of civil rights and firearms rights, reducing felony convictions to misdemeanors, and early probation terminations. Elias Damianakos is an experienced Tucson criminal defense attorney, and has handled hundreds of criminal cases, including as a former Arizona state prosecutor. I have worked for the Tucson Prosecutors Office and the Pima County Attorney's Office. I am admitted in Arizona, New York, U.S. District Court in Arizona, and the 9th Cir. U.S. Court of Appeals. I am a former felony and misdemeanor prosecutor, and past nominee for prosecutor of the year in Arizona. I have successfully defended hundreds of people from various types of backgrounds - including doctors, teachers, nurses, lawyers, military and law enforcement personnel, and business people - in a variety of types of criminal cases including murder, drug offenses, domestic violence, probation violations, criminal traffic offenses, driving under the influence (DUI), theft, and shoplifting. With over 15 years of experience, Elias Damianakos understands that defending yourself against "the system" has become more and more difficult as prosecution offices have unlimited resources to prosecute you. Because of this, choosing the right attorney is very important decision. It is important to choose an attorney that has the right "fit" for the case and the issues involved. How To Choose a Lawyer that's Right For me? The process in choosing the right attorney to represent you is not much different than the process you go through when making other important decisions in your life — you need to make an informed, educated decision about the attorney who will best represent your interests. Here are 3 tips on how to choose a lawyer. 1. Consult with more than one attorney. You should interview him or her as if you were interviewing them for a job because in reality, you are hiring a person for a job — to protect and represent your legal interests. Your chances of hiring the right lawyer increase if you treat the attorney selection process this way. For example, you need to find out about the attorney’s experience in your particular legal matter, their knowledge of local court practice, and their working relationship with the judges, prosecutors, and staff who will be involved in the case. 2. Always speak with the actual attorney. Do not settle for consulting with a firm manager, an associate, a paralegal, or other staff member. The attorney you choose should be willing to personally meet with you to discuss your matter, and should be the only person who handles your case. 3. Beware of pushy salesman tactics. If you start to feel like you’re buying a used car, go with your gut, and move on to another attorney. No attorney can guarantee a specific result. A lawyer can only offer a probable, realistic outcome, based on his or her experience. Yes. There is no fee for consultations. During the initial consultation, we will discuss your legal matter, your legal options, and a strategy for the best possible resolution to your case. The initial consultation creates no obligation on your part. If after the consultation you decide to hire us to formally represent you, we will enter into a retainer agreement, and our office will officially represent you in your matter. Contact us for to schedule a free consultation. "Each client I represent gets 100% of my attention and no case is unimportant." KH ~ Elias is not only an excellent criminal attorney he is a good man ❤️ He represented me aggressively and won! Not only got me a not guilty verdict but the prosecutor and judge declared my innocence in open court. It really meant the world to me ❤️ He is a good man, we need more like him. LC ~ Mr. Damianakos was so incredibly professional, thorough and efficient! He handled my case with care, took his time to really get the facts, and do what I feel was an outstanding job! He and his staff kept in touch with me during the whole process, each step of the way ensuring that I didn't feel like just another case on his desk. His knowledge of the law, his ability to articulate facts really put me at ease and gave me confidence in him. Thank you Mr. Damianakos for your time, your professionalism, your knowledge, your attention to detail, your willingness to fight for the little guy! IK ~ This law firm exceeded my expectations. From the moment I called to the end of the case everything was handled in a professional manner. Elias is very firm, professional and an outstanding lawyer. The office updated me each time there was a hearing so I was able to know how the case was going without calling the office. I highly recommend this law firm. They are awesome. I am greatly satisfied with the end results of the case. Thanks so much again!!! TS ~ Elias was a very competent attorney. He never failed to let me know what was going on and what court dates I needed to attend. Everything worked out well, in my favor!! Thank you so much for saving my name from being tarnished. I appreciate all you and your law firm have done for me! LH ~ Elias is an amazing attorney who listens to the needs of his clients and fights hard for your case. He is very organized and keeps you up to date through the whole process. He got my charges dismissed and even appeared on my behalf a couple of times saving me a trip to the court. He is honest about the case and evidence. Definitely the best attorney in Tucson. Would never use anyone else. RC ~ I was travelling through Arizona for work and received a rather serious criminal driving charge. Elias was able to negotiate a favorable deal very swiftly. Being from Canada and working in an industry where my livelihood depends on my driving privileges, Elias gave me much needed peace of mind during this difficult process. I would recommend Elias to any of my friends or family, all business and no fluff. DG ~ Absolutely professional. My wife and I were sued by a used car dealer over a 250$ deposit the plaintiff asked the judge for 10k & assault chages (outrageous). Mr.Damianakos not only provided expert legal advice but also got us compensation from the plaintiff and not guilty charges, his staff was also very courteous. Mr.Damianakos, May God bless you and everything you do. Thank you so much, the Entire Graves Family.